Gillis Jewelers provides full-service repair for any issue you’re having with your jewelry. We treat your treasure as if it were our own. We know how valuable your treasures are and treat them as if they are irreplaceable. 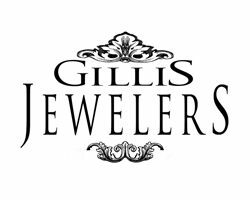 Gillis Jewelers has a state of the art Jewelry Repair Studio. We are able to work on any item. When other jewelers tell you they are unable to repair your treasure, we can. From sizing rings, setting stones, and repairing prongs, our jewelers can fix just about anything! It is important to bring your jewelry in every six months for cleaning and inspection. Not only can this potentially save you time and money, it can also catch any gemstones that may be loose before they are lost. We never charge to clean and inspect. Since we do nearly all of our repair work in house, you can feel secure leaving your jewelry with us. Upon completion, each piece is examined by several of our team members to ensure the highest quality of craftsmanship. Some minor repairs may be completed same day, while other more in depth repairs will undoubtedly take longer, up to several weeks in the case of a custom design job. Our staff will give you an estimated timeframe at dropoff, and we will contact you as soon as your piece is ready. Pricing is based on the intricacy of the repair, as well as on the metal type and the quality, number, and size of the diamonds or gemstones involved. To receive the most accurate estimate of cost, one of our jewelers will want to examine and discuss your jewelry in person. Gillis Jewelers provides watch repair for any issue you’re having with your mechanical watch. John Gillis is a certified Master Horologist. We are able to repair any watch in house no matter the value. Gillis Jewelers is staffed by watch experts who can functionally repair watch brands, from antique to luxury. Gillis Jewelers services numerous fine watch brands such as Rolex and Tag Heuer. 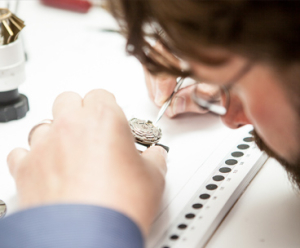 Using specialized tools and state-of-the-art equipment, we will always work to ensure that your watch repair needs will be affordably met with the utmost care and consideration.